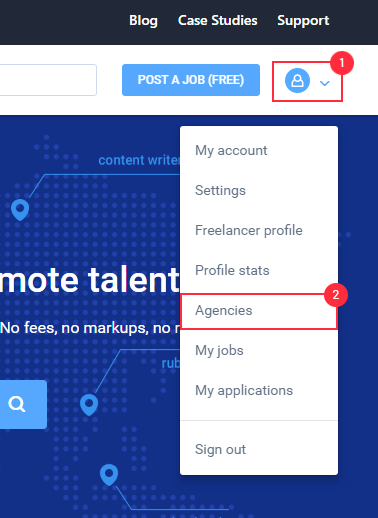 To cancel an invitation you’ve sent go to your “Agencies” page. 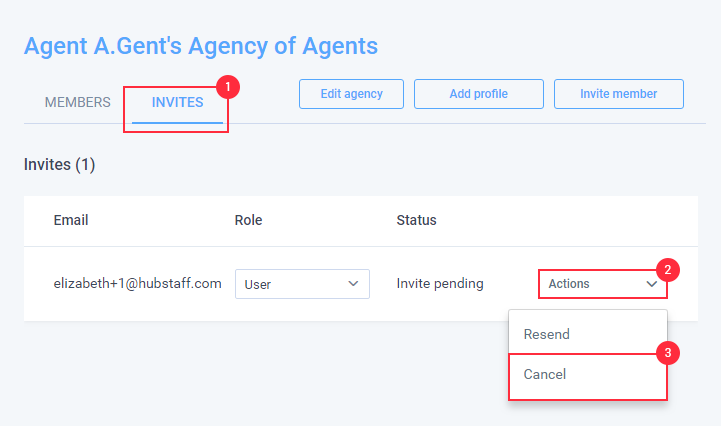 On the agencies page, click on the “Actions” button on the agency you wanted to cancel the invitation, then select “Members”. 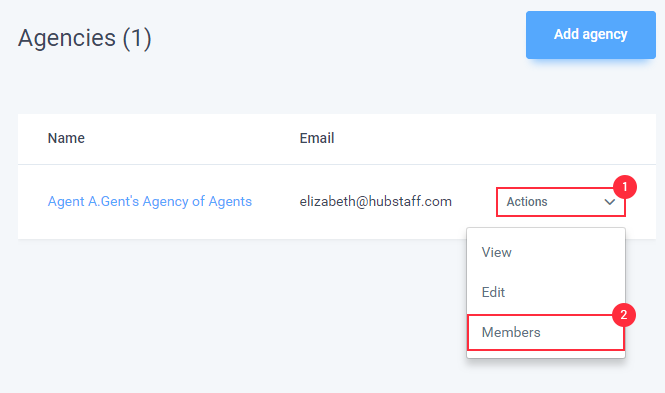 On the members page, click on the “Invites” tab, and then click the “Actions” button next to the appropriate invitation and select “Cancel”.